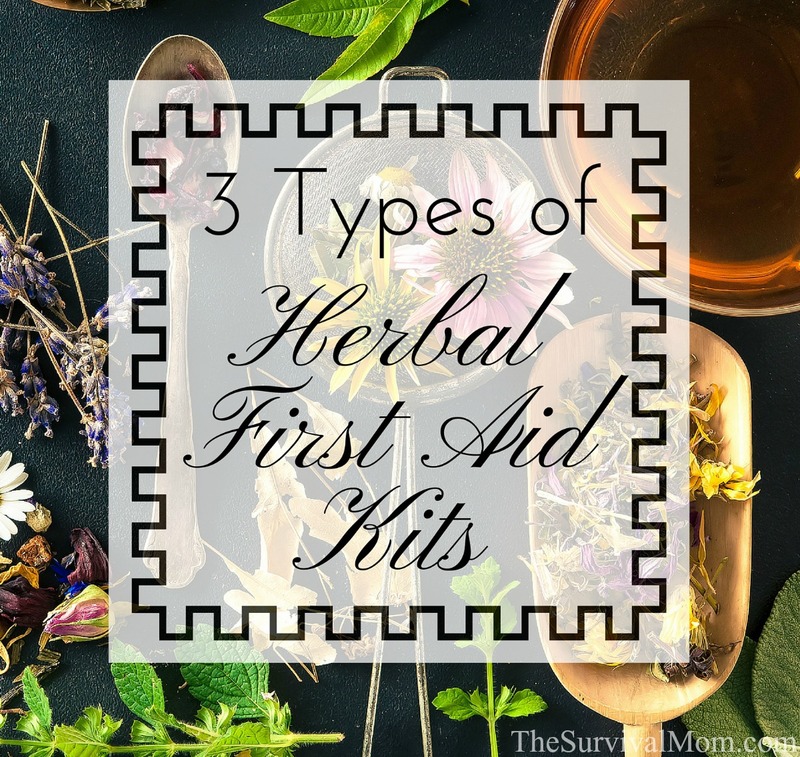 Herbal first aid is a great skill to have in your preparedness tool kit, and although I’m going to go over some of the contents of 3 types of herbal first aid kits with you in this article, it’s important to remember that herbal first aid is also a set of skills. You need to learn the correct doses, how to prepare herbs into usable form, plus all of the regular first aid (and wilderness first aid) skills to go with them. Being an herbalist in general is a pretty good background for survival skills- you already know many herbs and the basics of how the body works- but I’ve taken classes with The Human Path, led by a former Green Beret medic and herbalist, Sam Coffman, to up my survival herbalism game. 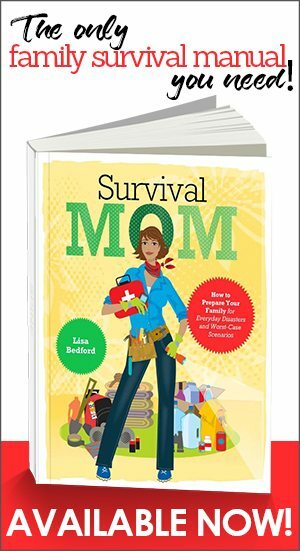 You can read an article Sam wrote for Survival Mom about the benefits of learning herbalism for disaster preparedness here. Based on what I’ve been learning, I now have three types of herbal first aid kits. 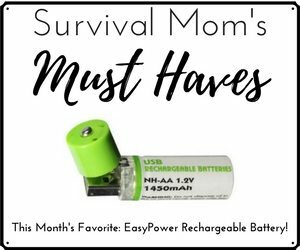 My everyday carry kit is small — I can fit it in a purse or tuck it into a backpack with no problem. I’ve even heard of people making their EDC (EveryDay Carry) herbal kits small enough to fit into a cargo pants pocket for times when they want to take it to a sporting event or other venue that doesn’t allow bags. 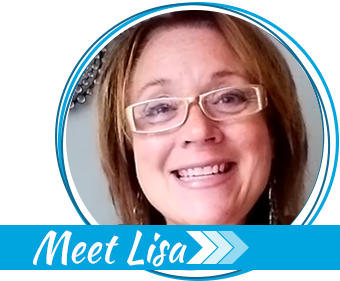 My home first aid kit is much larger, with a wider variety and larger quantities of things for everyday comfort. The field kit/evacuation kit covers the herbs I would want to have on hand during a natural disaster or pandemic, but works equally well for rounding out my home first aid kit or as an organized bug-in supply. Here’s a little more about each type and what I’ve included. For everyday carry, small and durable is good. The idea is to keep a few things on hand that help make your life easier until you can get home. For example, use 1 ounce nalgene bottles, or make single serving packets out of drinking straws (I like this tutorial.) You can use a fanny pack, the kind of travel pouches used to organize a carry on or suitcase, or a makeup bag to hold your herbal EDC. A ziploc bag that goes in and out of different bags also works well. Don’t leave your herbal EDC in the car, though, because herbs and tinctures are heat sensitive and lose potency quickly in a hot car. Meadowsweet extract — This herb can be useful for indigestion and pain. Rose/Hawthorn/Albizzia extract (equal parts each) — An uplifting nervine, tis is my go-to for clearer thinking and feeling calmer after an emotional shock to the system. Cayenne — Cayenne has several first aid uses. Dr. John Christopher spoke highly of it for hemorrhaging and for heart attacks, as it appears to equalize the circulation. It’s also very handy during cold and flu season for clearing the sinuses. A little cayenne is also my secret ingredient for sore throats, along with honey and lemon. In a pinch, you can get a wedge of lemon, a cup of hot water and a packet of honey at a restaurant. Mix the honey into the water and squeeze the lemon into the cup. Add a little cayenne and sip slowly. Black Cohosh/Jamaican Dogwood/ Cramp Bark extract (equal parts) — I learned about this blend from Dr. Aviva Romm’s website, and love it. This is a really potent blend. Helps provide comfort when dealing with pretty much any kind of pain — headaches, injuries, menstrual cramps, etc. Plantain salve — My favorite salve blend is bright green and has plantain, chaparral, goldenseal, and bloodroot, among other things, but use whatever herbal salve you like the best. Personally, I have a full fledged home apothecary, but then again I’m a die hard herbalist, and constantly work with new recipes and other personal experiments. If you like, you can take a peek at my apothecary. Maintaining a home apothecary is a skill all of its own — things need to be rotated in and out, records kept, resources managed. 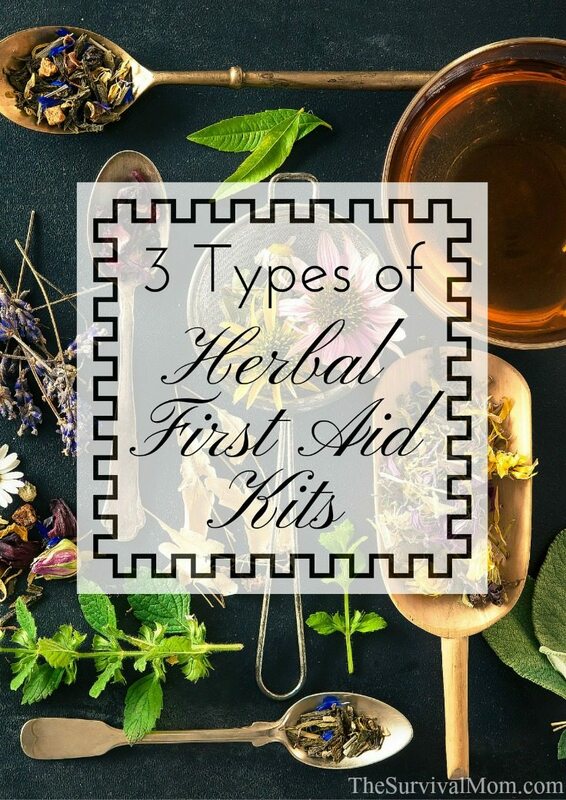 I find it highly rewarding, but if you want a smaller home first aid kit (completely understandable), I talk about some of my must-have herbs in An Herbalist’s First Aid Kit: What I Use and Why. It covers 12 versatile herbs you might want to consider, and some ideas for preparations like eyewash, liniment, and an herbal spray for sore throat. Digestive wellness: Include herbs that soothe the digestive tract like marshmallow root and meadowsweet; or astringents like blackberry root and sumac that are traditionally used to dry up bouts of diarrhea. Herbal comfort for aches and pains: Black cohosh, jamaican dogwood, corydalis, valerian, passionflower, cramp bark, and willow can make good choices here. Immunity and lymphatic support: Herbs that help the body during a viral or bacterial challenge like cleavers, violet leaves, and red clover for the lymphatic system; herbs that support the immune system more directly like elderberry and eleuthero. You will want to keep your home first aid kit in an area that is easily accessible, but also out of direct sunlight and away from dampness. The basement and the bathroom are probably not good choices, because the higher humidity in these areas can take a toll on your supplies. A hallway closet or spare kitchen cabinet are good locations. A field kit or evacuation kit is probably going to be the most technical type of herbal first aid kit that you put together. For durability, use nalgene bottles. 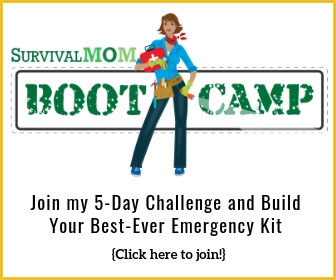 My field and evacuation kit focuses mainly on worst case scenarios — the kind of scenario where higher medical care is unavailable for short or long term. It’s heavy on the herbs I would want to have during a natural disaster or pandemic. It’s a much better idea to focus on a selection of formulas for this kit, rather than single herbs. That level of detail is a little beyond what I can cover in this post, so I’ve added a brief list of some of my favorite herbs that can be used for each category below, as a place for you to start with your own research. It’s also a good idea to tuck in a few herbal and first aid references. Of course, this is just a glimpse at the botanical portions of my first aid kits. You will also need other basic to advanced first aid supplies like bandages and sutures (and the skills to use them). Remember to review the contents of your herbal kits frequently, at least once a month, to check for leaks and to stay familiar with the way your kit is packed. Like all of your prep kits, it’s really helpful to pack your kit the same way every time, so that you can easily find what you need, when you need it. Feel free to use the herbs I’ve suggested as a guideline. Chances are, you will begin to develop your own tastes and preferences the more you work with herbs, and that’s a good thing! I wish you the best of health as you work on your herbal preps! I am only partially favorable toward natural, herbal, homeopathic remedies. NOT opposed however. But….my concern is adverse reactions or results without LOTS of research about negative reactions. I have had good results with some, no results, and have read about serious interactions. For example; many warnings about St. John’s Wart. How about a source to inform fully about this issue? Where would you recommend someone start that is interested in studying and becoming an herbalist? You know, that’s an excellent topic for Agatha Noveille, an herbalist who contributes articles to this site. I will ask her to write about this in an upcoming article.